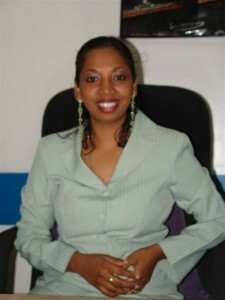 The Chief Executive Officer of Guyana’s state-owned National Communications Network (NCN), Molly Hassan resigned Monday. Chairman of the Board, Bish Panday declined to comment immediately on the resignation. Hassan would only confirm that she resigned voluntarily and that she was not asked to do so. It was not immediately clear who would take over responsibility for NCN since the position for Chief Executive Officer has not been advertised. The posture towards Hassan by the eight-month old coalition administration had last year resulted in her issuing a statement defending her integrity and performance. Hassan, who was a senior marketing executive at Courts, was appointed by the previous People’s Progressive Party Civic administration. Well-places sources have told Demerara Waves Online News that government and sections of the Board are divided over whether veteran journalist, Enrico Woolford should be appointed CEO after a procedural advertisement for the position. Woolford is this week expected to travel to Vanuatu to be part of a Commonwealth Elections Observer Mission.